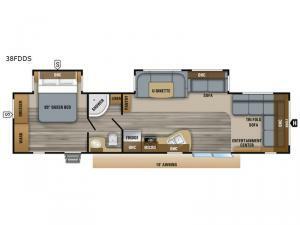 Looking for great views, a comfortable living space, and your own private bedroom? Just imagine having an L-shaped tri-fold sofa, a smaller sofa and a U-shaped dinette to be able to offer seating when the whole gang is over. The patio door is convenient and nice to have when you want to see the outdoors but be inside with the air conditioner. You can make meals with full appliances including an 18 cu. ft. refrigerator to store leftovers. The master bedroom offers some privacy, plus there is a second entry for a smooth flow of traffic. 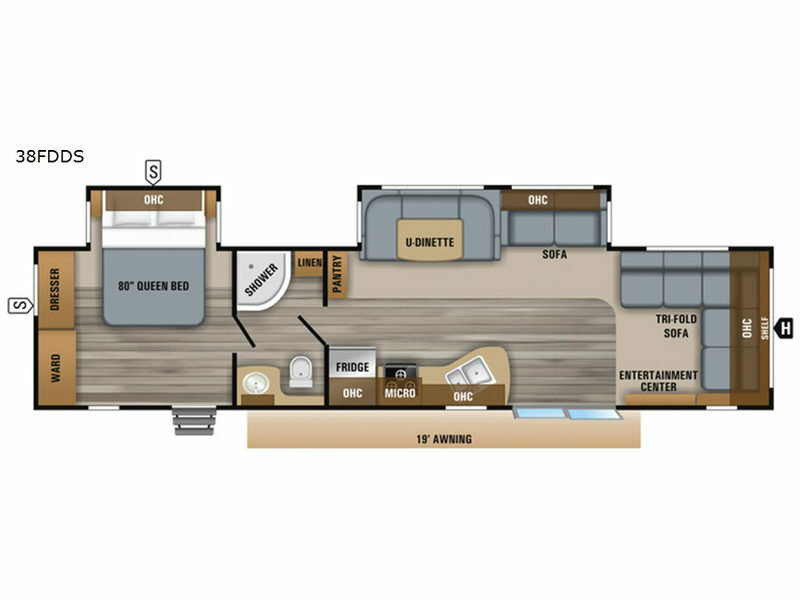 There is more to enjoy each time you stay in this travel trailer, take a look.